On Friday, 9th November, the team at Putney Funeralcare organised a special Remembrance coffee morning for the local community and raised £815.28 for the Royal British Legion – a big thank you to the people of Putney. 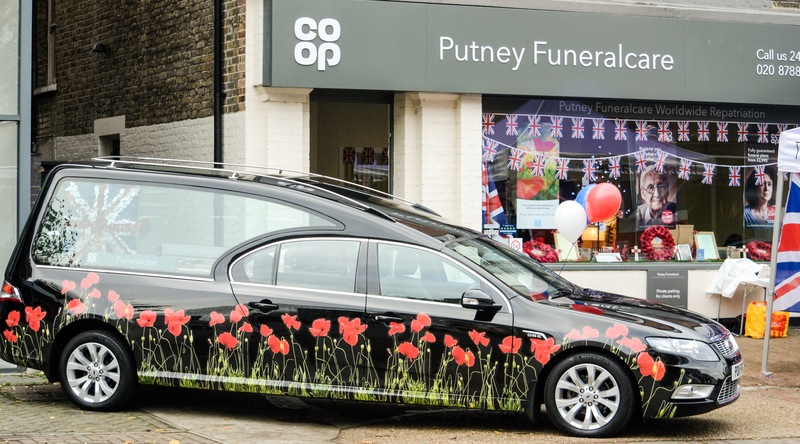 The new Remembrance Hearse was on display, featuring one hundred red poppies to celebrate the centenary of the end of WW1. People were invited to light a candle and write a message to put on a memorial tree in memory of a loved one. 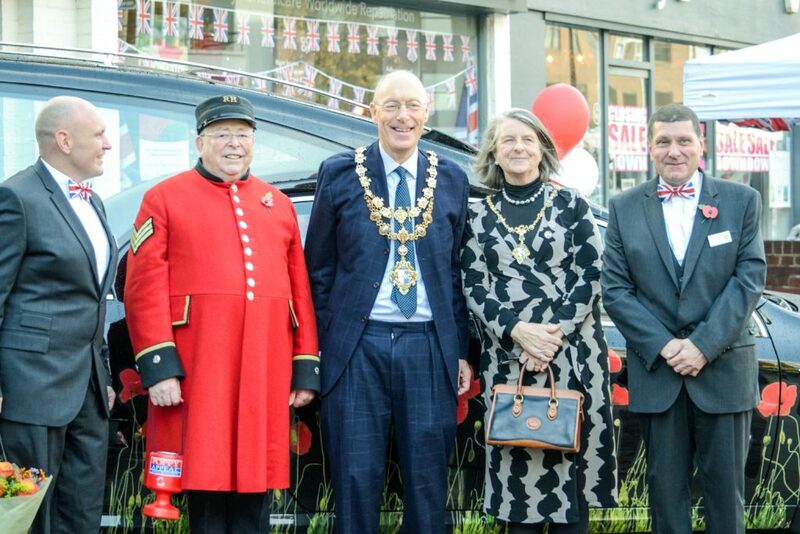 They were joined by Councillor McCausland, the Wandsworth Mayor, Putney Member of Parliament – Justine Greening, and Chelsea Pensioner – Simon de Buisseret. On Sunday, 11th November, the people of Putney did themselves proud with a fantastic parade of servicemen and local uniform organisations which took place through the town centre, finishing at the war memorial in Church square to pay their respects, followed by a special service in St Mary’s Church. 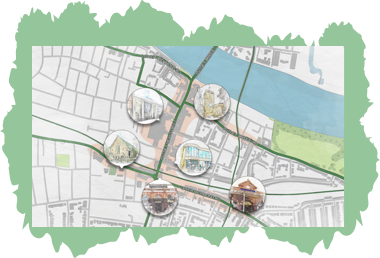 Check our Facebook page to view the video.